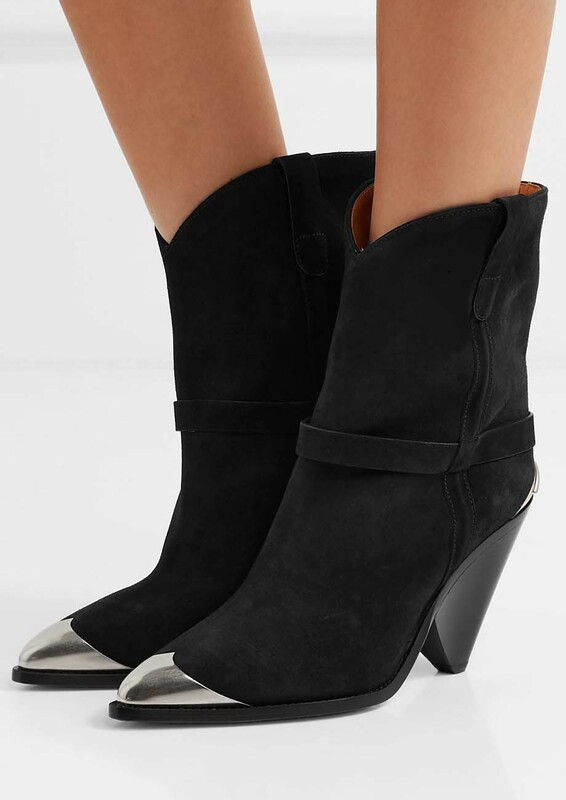 Isabel Marant’s ‘Lamsy’ ankle boots were first seen on the label’s Fall ’18 runway, and are updated in a smooth suede for the new season. 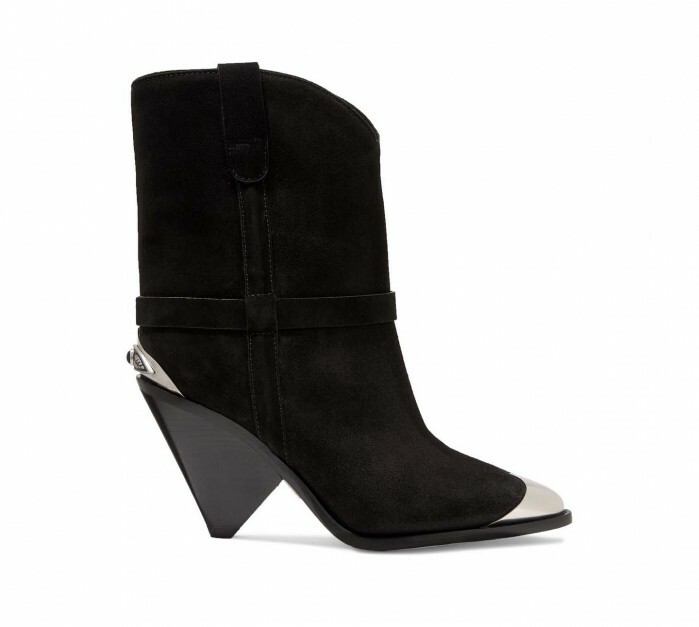 This pair is set on a conical heel and embellished with cowboy-inspired metal trims at the heels and toes. 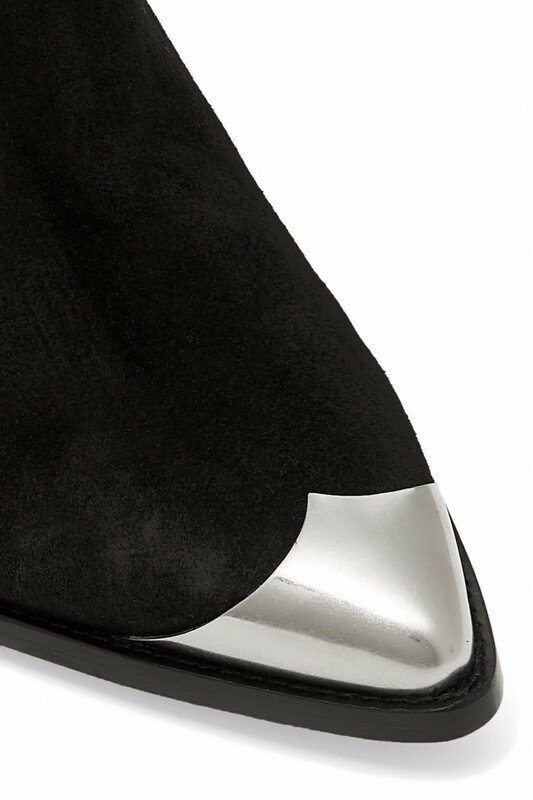 We think they look best teamed with one of the brand’s dresses.